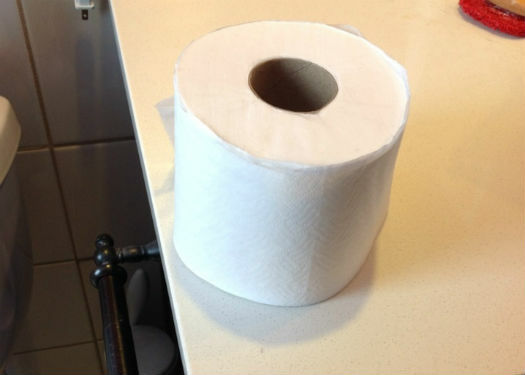 Hollywood, CA – None of the five roommates who share a house on Whitley Avenue in Hollywood are apparently willing to put the new roll of toilet paper in the dispenser. Instead, all of the roommates, which include three men and two women, have chosen to leave the new roll on the counter next to the toilet. It has been confirmed by two of the roommates that all five roommates have indeed used the bathroom since the new roll was taken out of the closet and put on the counter, so they have all had an opportunity to put the roll in the dispenser, if so inclined. Both roommates say they do not know who originally took the new roll out of the closet and placed it on the bathroom counter. They both spoke on condition of anonymity, for fear of upsetting the delicate chemistry in the house.